Dorset camp sites, touring holiday parks and caravan sites with self-catering caravans to rent, Dorset caravan hire available in caravan parks in Dorset links to Dorset caravan parks, local maps, information, events and attractions. 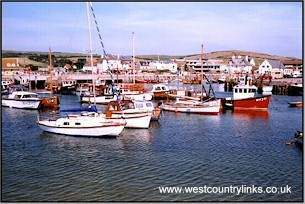 westcountrylinks south west holidays, uk, gb. Small, family run, park in Christchurch is set in 2 acres of mature trees, close to Hurn Forest and the River Avon. The small number of comfortable cabins and lodges are all tastefully situated around the swimming pool. It is ideally situated for easy access to a vast array of attractions. Dorset Holiday Caravan Parks Static Self Catering Holidays, Ideal for family self-catering holidays all year round, some allow pets, weekends, half term or just a short break. Dorset Holiday Caravan Parks Static Self Catering Holidays, Ideal for family self-catering holidays all year round, some allow pets, weekends, half term or just a short break ! Portland Camp Site Explore the Isle of Portland a huge mound of stone projecting into the English Channel. At the southernmost tip of the Isle of Portland, overlooking the English Channel, is found the famous lighthouse, Portland Bill. Swanage Camp Site Explore the cosy town of Swanage a busy holiday resort with a marvellous bay of yellow sands the beach is ideal for bathing. The white cliffs are flanked by downs grand for walking and views. 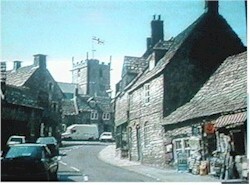 Toms Field Campsite & Shop .Toms Field Rd, Swanage , Dorset , BH19 3HN Tel: 01929 427110. Camp Sites Woodyhyde Campsite .Valley Rd, Wareham , Dorset , BH20 5HT Tel: 01929 480274. Burnbake Campsite .Rempstone, Wareham , Dorset , BH20 5JH Tel: 01929 480570. Redcliffe Farm .Redcliffe, Wareham , Dorset , BH20 5BE Tel: 01929 552225. Woodlands Camping Park / Bed & Breakfast .Woodlands Lodge Campsite, Bindon Lane, Wareham , Dorset , BH20 6AS Tel: 01929 462327. East Creech Camping & Caravan Park Ltd .East Creech Farm, East Creech, Wareham , Dorset , BH20 5AP Tel: 01929 480519. Seaview Holiday Park Weymouth Dorset Situated close to Weymouth's sandy beaches, all attractive Parks with a buzzing nightlife. Offering fun family holidays in Weymouth. Castle Cove, Caravan Park, The Cabin, Nothe Parade, Weymouth, Dorset DT4 8TX Tel: 01305789282 !